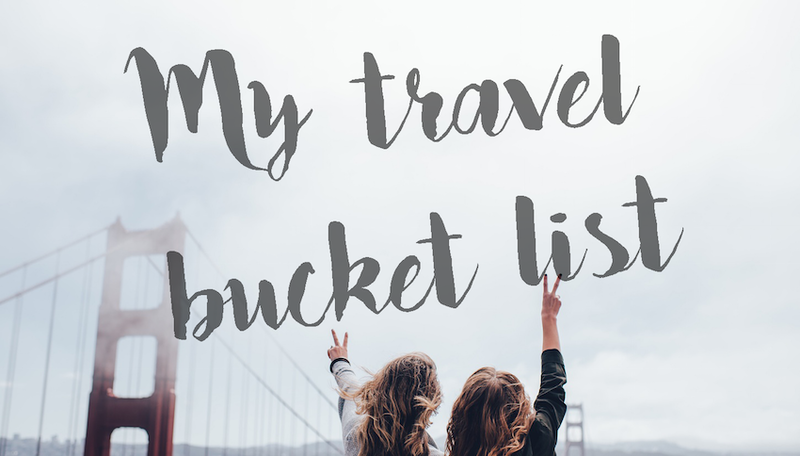 MY TRAVEL BUCKET LIST | RAWR BOWS. If time and money allowed it, I would love to visit every single city, town and region in the world. I want to go the Sahara desert, Japan, Australia, Norway, Brazil, etc. I want to meet people from all over the world and get to experience new cultures, whether that is by trying new foods or by celebrating new holidays. I think it's fascinating how people have completely different mindsets depending on where they live or where they grew up. It's also incredible getting to see something you've learnt about in school, read about in your favourite book or seen in a movie. Despite wanting to visit every single town in the world, there are a few places that I'm particularly interested in and really want to go at some point in my life. I've been lucky enough to be able to visit some of these places and cross them off the list, which just makes me want to travel even more.